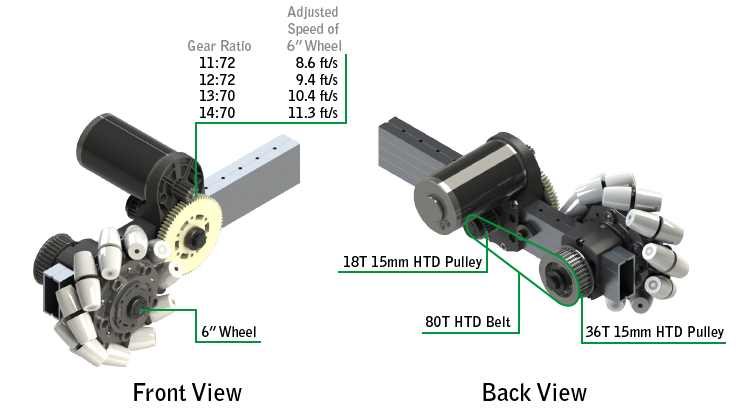 The Single Reduction Clamping Gearbox naturally pairs with a Plastic Clamping Bearing Block or VersaBlock to establish a standard drivetrain gear reduction (see the Bearing Block Spacing drawing for details). 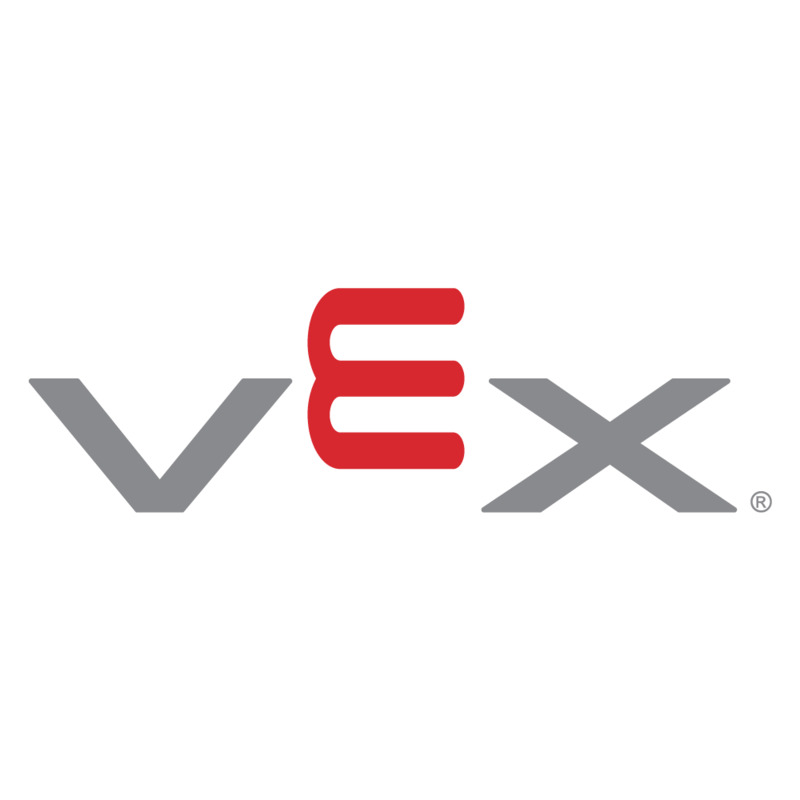 For those who wish to use a 6" wheel, VEXpro HTD belts & pulleys can be used to achieve the same result. Download the STEP file for this Application Example here. 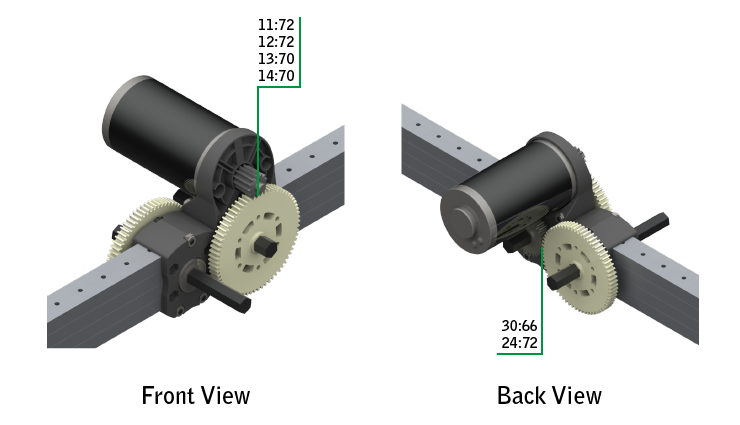 This chart explains the gearing options for the Single Reduction Clamping Gearbox paired with the Plastic Clamping Bearing Block. Refer to the Clamping Gearbox / Plastic Bearing Block drawing for detailed gear spacing.